Begin Again is a cute, light-hearted musical with just enough bite to avoid being irredeemably fluffy. It’s a movie where I knew everyone would be all right at the end, because the main characters’ redemption arcs are so unchallenged that the story would work whether they score a hit record or not. Dan (Mark Ruffalo) is a heavy drinking, has-been record executive with a crumbling marriage. 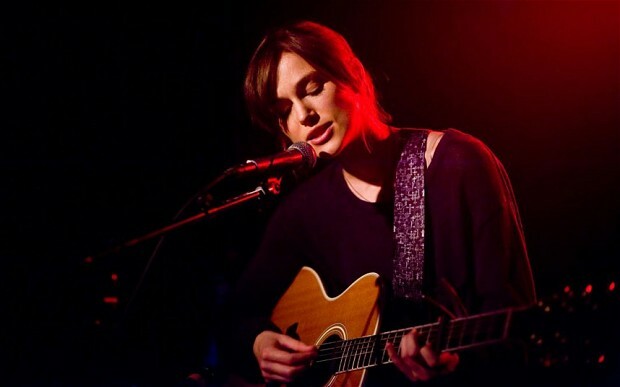 While down on his luck and drunk at an open mic night, he discovers Greta (Keira Knightley), a recently dumped singer/songwriter whose music becomes the driving force of their uplift (and ours). Those character archetypes sound unbearably cliché, but writer/director John Carney’s disinterest in mining the narrative for drama proves to be an asset here. Ruffalo and Knightley have enough chemistry to make their recording sessions interesting, and it was surprising to see how exactly their relationship conflicts settled. Unsolved murders haunt us. 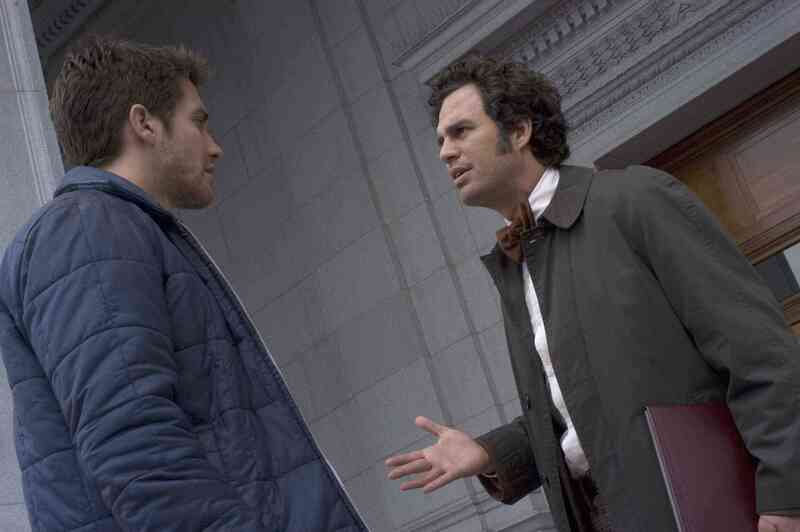 As the detective played by Mark Ruffalo remarks at one point in Zodiac, there were 200 murders committed since a serial killer left his brutal mark on the zeitgeist. Those murders were explained, though, and as a result they are boring to us. There are several fictionalized versions of the story of The Zodiac Killer, because finding a narrative that rewards a viewer would be daunting and it would miss the point. This is a story that is not about rewards. There is obsession laced within every frame of it, driving all of the principal characters and not just the psychopath. A need for justice, a need to definitively know lies buried beneath the daunting surface of this David Fincher masterwork. 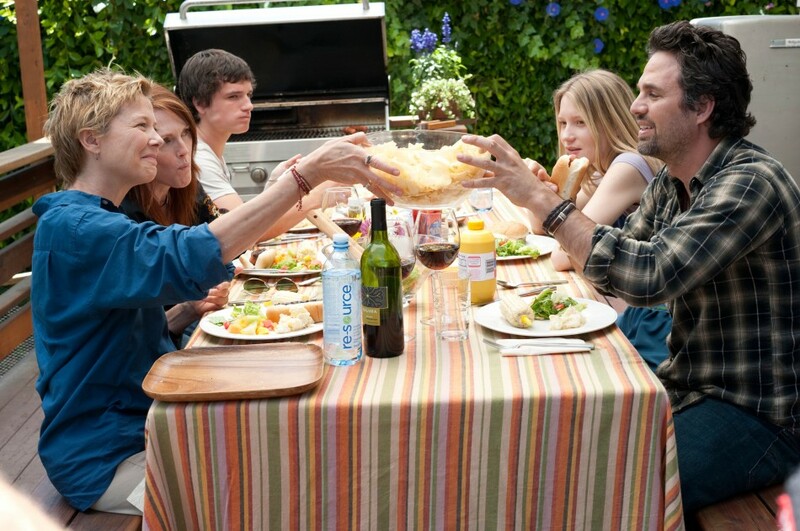 Nic (Annette Bening) and Jules (Juliane Moore), the two moms at the center of the film, were each impregnated by the same sperm donor. Now that their daughter Joni (Mia Wasikowska) has turned 18, her brother Laser (Josh Hutcherson) pressures her to contact the donor (Mark Ruffalo). They do, it’s awkward, and it almost tears the happy family apart.